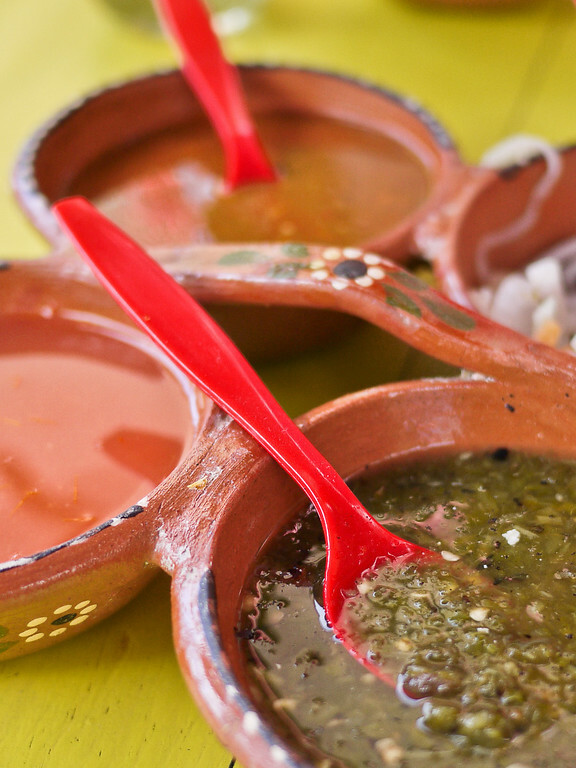 Living in Mexico these past months has meant a rekindled love affair with salsa, spicy food, and cheese. For all the reasons to love Southeast Asia, and there are many, while traveling the region I often missed the flavors and variety of cheeses I have long loved—travelers in Southeast Asia for any amount of time become painfully aware that it’s a cheese-less journey over there (in part because many in SEA are lactose intolerant, so they have no dairy culture). And so, with my decision to jump continents and live here in Mexico, I have also jumped tastes, flavors, and history too. 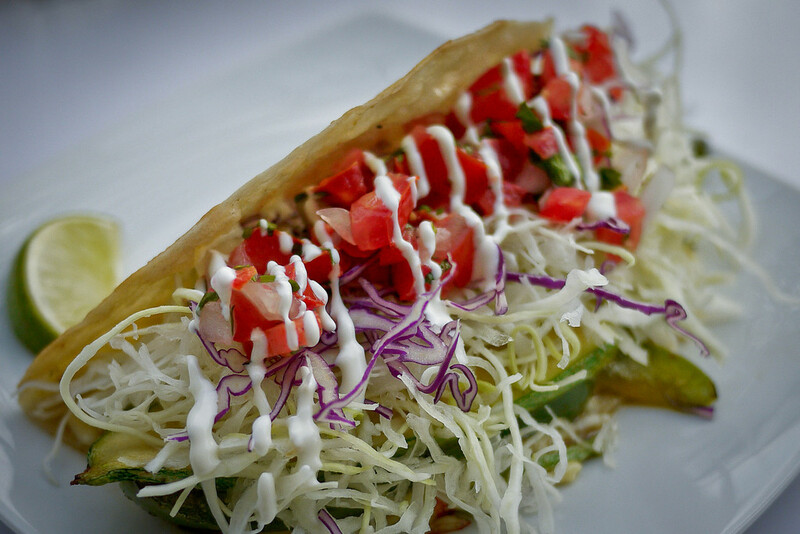 The perfect taco: grilled zucchini and green peppers, shredded cabbage, tomatoes, cheese, sour cream, chipotle sauce, chili sauce, and a wedge of lime. Heaven. I traded the curries, soups, and noodles of Thailand for the tortillas, quesadillas, and tacos of Mexico. This new culture means a new history shaping the people I meet and the foods I eat each day. I live next door to the tortilleria in town, a friendly shop offering fresh corn tortillas and deep-fried chips; the soft tortillas are made fresh all day and waft scent through the streets as I pass on my bike. I pass tortilleria every time I leave my apartment, and I glance in and give an easy wave and smile to the gruff (but sweet) man running the shop; and each time my thoughts move to the food history that makes that shop a cornerstone in this community. 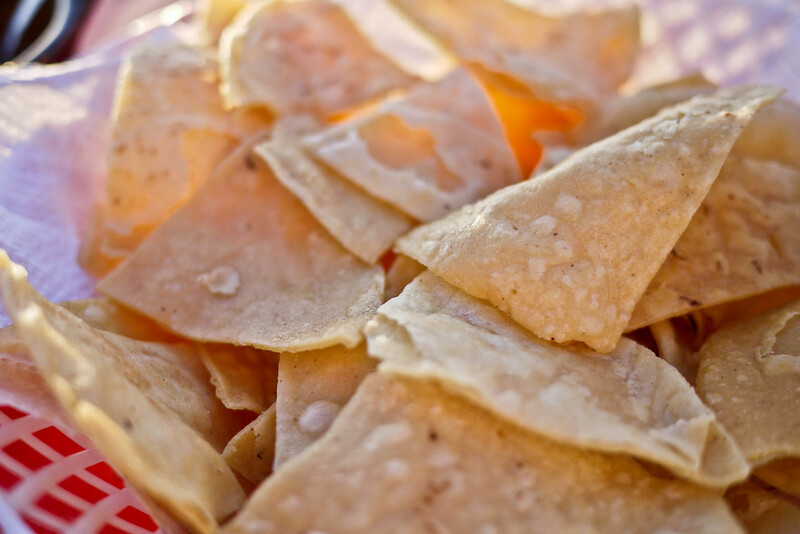 Tortillas are the foundation of nearly every dish I eat here, and the history of the corn tortilla dates back hundreds of years—corn itself as a cultivated crop dating back to 3000BC even. But this daily bundle of joy that I hunt down all over town, the humble taco, must have its own a start point in history. I wanted to know why modern convenience hadn’t yet stomped out the fresh tortilla makers, and why it’s a fruitless journey to locate a crunchy taco shell even though I (and I suspect many of you too … unless it’s really just me …) associate crunchy shells and an almost-spicy cheese sauce with Mexican tacos. The truth though, is that many of the modern ingredients associated with tacos: the lettuce, tomato, and beef, are thanks to that top US-based dining establishment known as Taco Bell. I kid you not, modern tortillas gained wide-spread favor outside of Mexico thanks to this fast-food chain. Much like the fusion Italian food and flavors into the US, when Mexican migrants came stateside in the early 1900s, they brought their foods, including the taco, but had to adapt to the ingredients available in the US markets and shops. 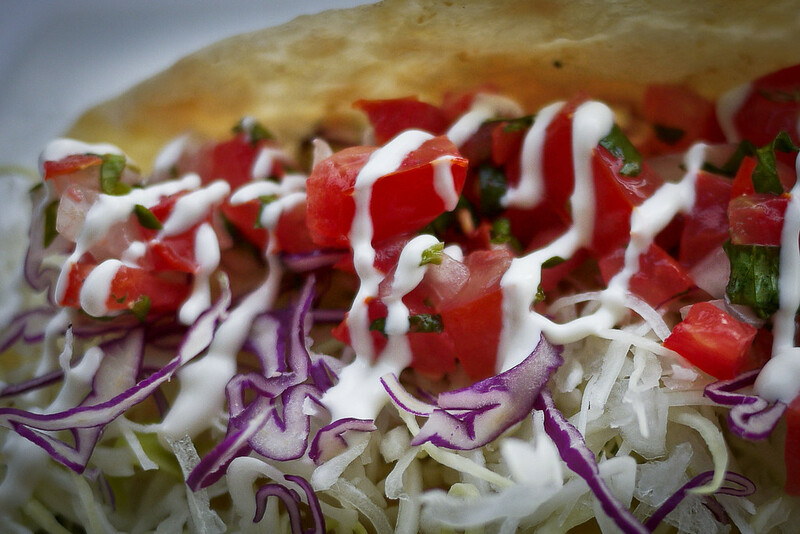 And in an odd twist of fate, Mexican foods were considered a low-class until Glen Bell founded the fast-food chain, merged traditional flavors with the ingredients and foods accepted by mainstream America, and brought us the modern taco. But one of the major changes? Since soft corn tortillas are meant to be served within hours of preparation, American fast food dictated that we fry them up so they can sit on a self for months and still taste good. I did a #facepalm when I read that bit. And that would be why crunchy taco shells don’t pass as a blip on the radar here. 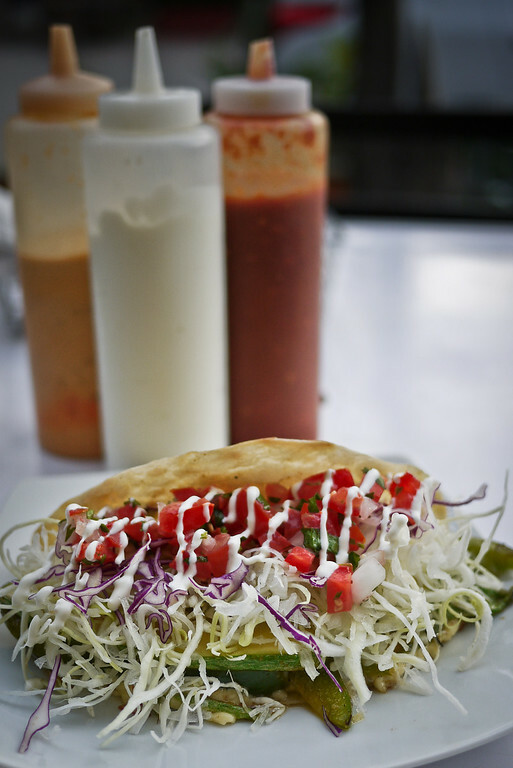 Instead, just soft, fresh rounds of tortilla rolled into humble creations—the word taco referring to most anything rolled inside a tortilla (so they say, but yet we also have: enchiladas, chalupas, and quesadillas as distinctly different creations … but that is for another day). Though it’s a Mexican street food, the taco is a source of pride for some vendors who deliver beautiful works of art to my table. Truly gorgeous pieces of food that make me happy every time I decide to venture out for food instead of launching into a new cooking a new disaster; I’m determined to share some recipes in the coming weeks since I have a full kitchen here, so I have been testing out easy dishes in an effort not to be a kitchen klutz forever (if you’ve ever seen me dice an onion you know what true anxiety feels like). 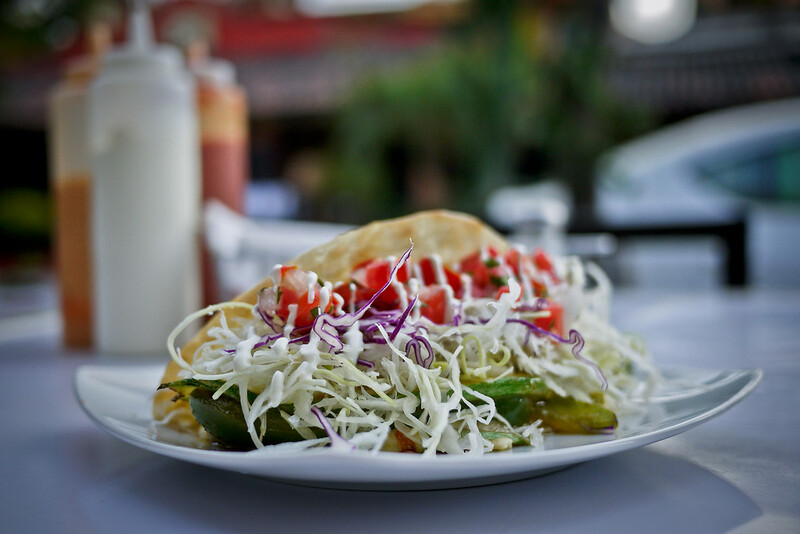 However, until I find something I can successfully create, I head to the streets of San Pancho for fresh and pretty tacos from the restaurants and vendors. Since I’m traveling solo, I have a lot of time to ponder the humble tacos placed before me, and I’ve spent long sessions with Le Google to find out more about when, how and why tortillas transitioned into handy vehicles for propelling veggies, salsa, and cheese (and meat for the carnivores) into my mouth. A history professor with a love of food shares the best explanation on the subject; he says the taco was likely born from necessity in the 1800s by poor silver miners, and spent the next 100 years spreading through tiny towns and street food stalls throughout Mexico. Pilcher’s longer piece in Guenica magazine makes a fascinating long read on the subject and traces the influences of the Spanish on indigenous Mexican foods and when and how they merged over the centuries. I feel more connected to the food and people when I understand the origins of some of their food culture. It’s one thing to go every day and sample these creations, but I love knowing what chances of history and globalization brought this dish to fruition. In short, it was humble beginnings for tacos, a food I assumed was born alongside the tortilla, and my own country played a role. Which takes us to now, and my efforts these past two months to consume many, many tacos. My town here is tiny, and that means there are few places left that I haven’t sampled, but with new salsas and toppings at the ready, the Mexican taco experience is different each time. 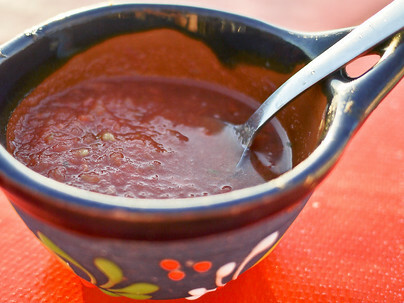 More Mexican foods and culture in coming weeks, and hopefully a few good recipes too! That is so interesting to read, didn’t know the history of the taco. Pictures are great, made me hungry too :) I’ve added your post to my new series of inspirational lifestyle & travel stories, I love how you explained the true origin of this dish! Oh, wow. I knew I wanted to go to Mexico for the tacos, but now I want to go right this minute. Great photos – the tacos look amazing! 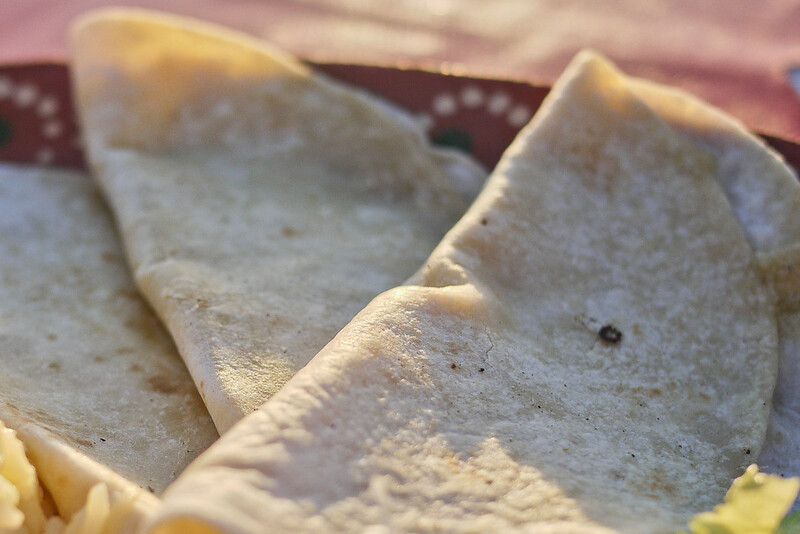 I do make my own flour tortillas – we can’t eat those packaged ones anymore – but I want to learn how to make the delicious soft corn tortillas. Thanks for the history lesson! Those tacos look absolutely amazing. Props for the great write-up and the even better pictures! I love learning the history of the different foods I encounter. My university thesis was actually on tracing the connection between ancient Egypt and India through the trade of pepper. Down here in Colombia we have arepas, kind of a cross between a Mexican tortilla and a Mexican gordita. Unfortunately, they don’t top theirs with the deliciousness of taco meat and spices. I’m currently eating my body weight in tacos as I travel around Mexico, so I can fully appreciate your love for them and alos your great photography.